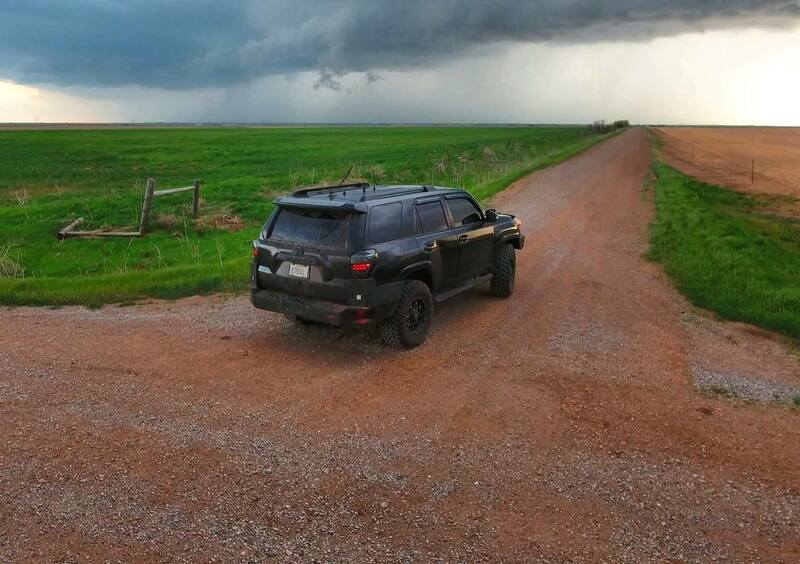 The first decent Oklahoma chase of the year and on a Sunday, too! This thunderstorm evolved out of a cluster that formed earlier in the day near Vernon, TX. Weak shear prevented these storms from organizing initially, but they finally got going nearer to dark. The storm briefly got some great structure and even attempted to get organized in the low levels, but didn’t produce a tornado.